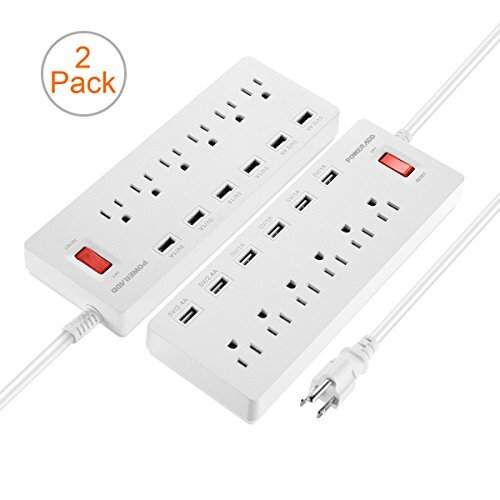 Poweradd multi-pack surge protectors is coming. Economical and practical products from Poweradd, add power for your life. Widely spaced outlets at the corner accommodate large power adapters, battery chargers or other devices. 4 universal 1A ports for all phones, MP3 players, and other USB powered devices, so you can easily charge your cellphone along with other USB devices. 900 Joules energy rating, the surge protector defends your devices against harmful voltage fluctuations, surges, and energy spikes. Feature: Overload protection, Surge protection, Home power center. - 24h*7d Customer Service Supported.